One of the sad realities in life is that training at age 40 is just not the same as training at age 20. The sooner we accept that, the better we can plan training for experienced athletes. 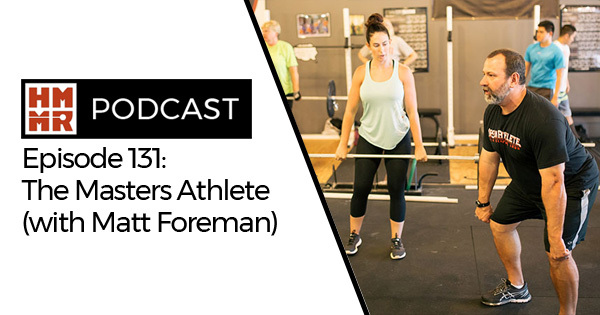 On this week’s episode weightlifting coach Matt Foreman joins us to discuss training as a masters athlete, his own experiences, and the mental side of staying focused as the years go by.